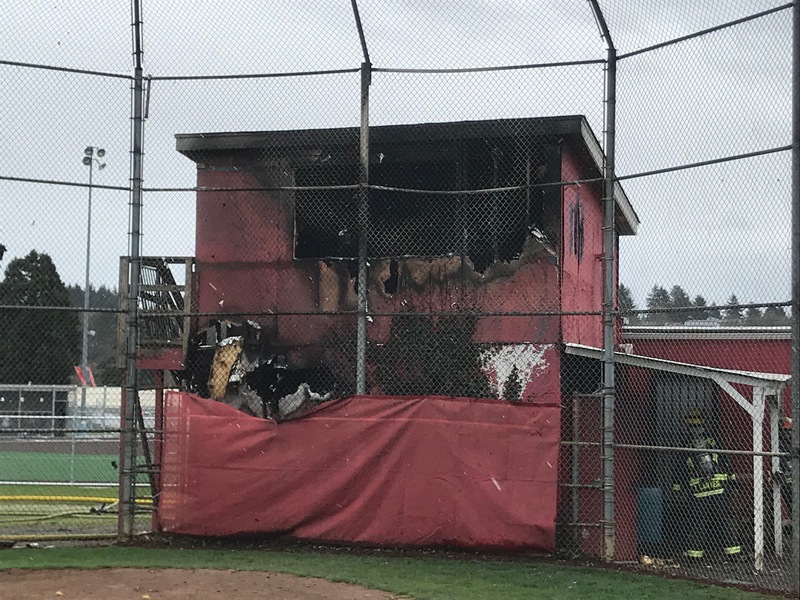 On Wednesday, March 27, there was a fire at our fields. 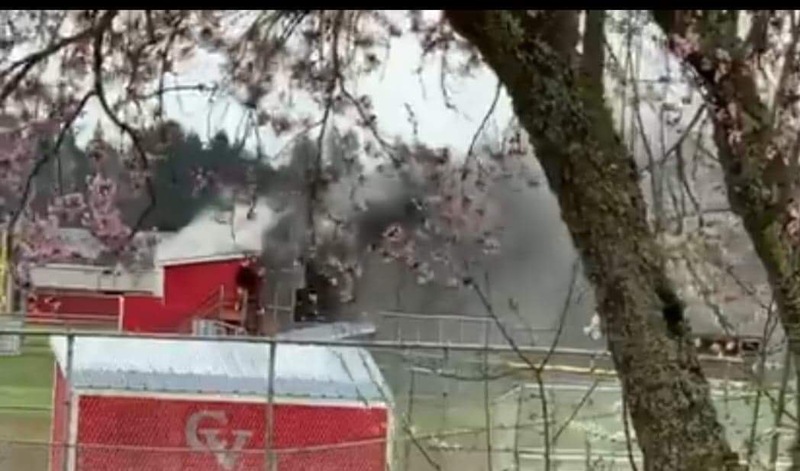 The score tower on the Majors field was completely destroyed. We have lost everything in the building. Downstairs was our field day equipment: Gear bags, Tees, balls, pitching machines, all the field tools, bases for the fields, and umpire gear. 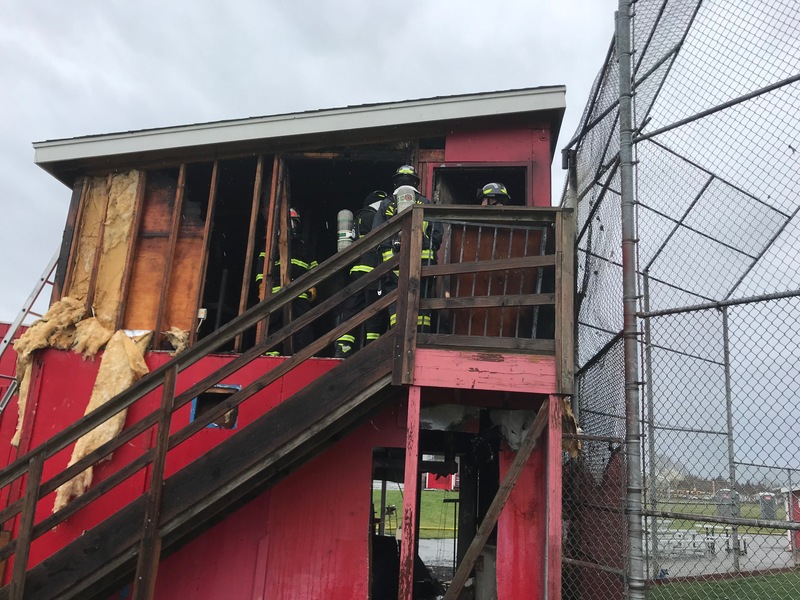 We also lost our freezer, a new (not yet installed) water heater and items for the concession stand. Upstairs we lost our league items: years of pictures and certifications going back to the start of our league in 1956, speaker system, fan gear, hats, projector items and uniforms. 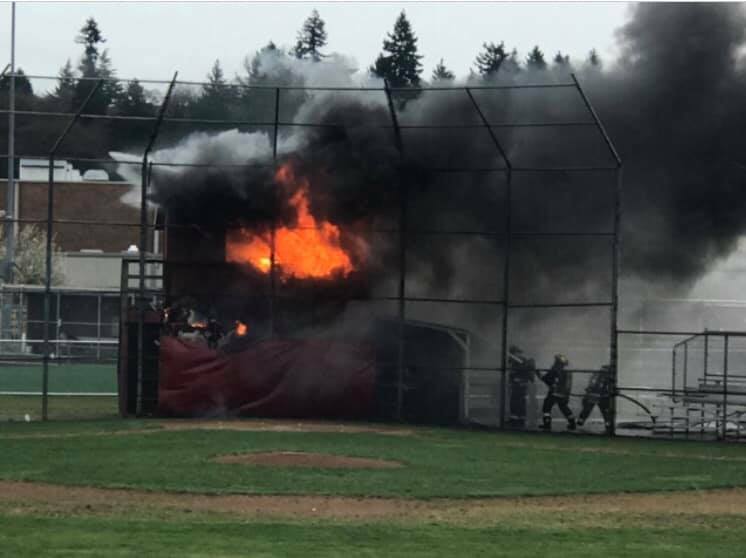 We are very fortunate, there were NO Little League players at the field and no one was injured. Thank you to all the volunteers who helped clean out the score tower over the last month. Seriously!! This fire could have been significantly worse if all the junk we worked so hard to get rid of had been additional fuel. 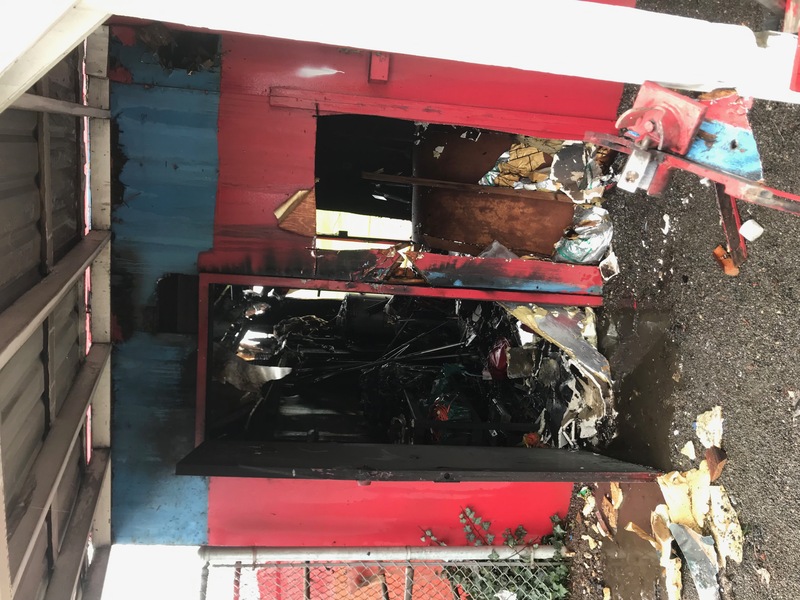 We can't forget to thanks the Vancouver Fire Department for their response and efforts. 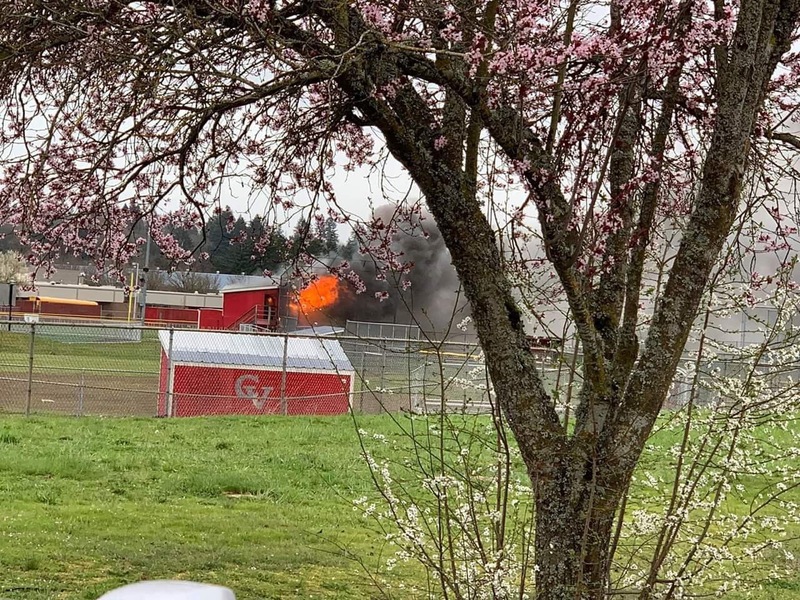 We currently cannot practice or enter the fields until the fire investigation is complete and the Vancouver School District allows us to re-enter the area. Your coach will communicate with you when and where your next practice will be held. The Majors field was not damaged, only the score tower and backstop. There was no damage to any of our other fields. Our jersey and hats for this season were NOT in the score tower. We have had many inquiries regarding the fire's cause; we don't know. The police department and fire department are completing their investigation. Emotions right now are raw, but that is ok. We will recover and the season will get better. By no means will this break our spirit to play ball! 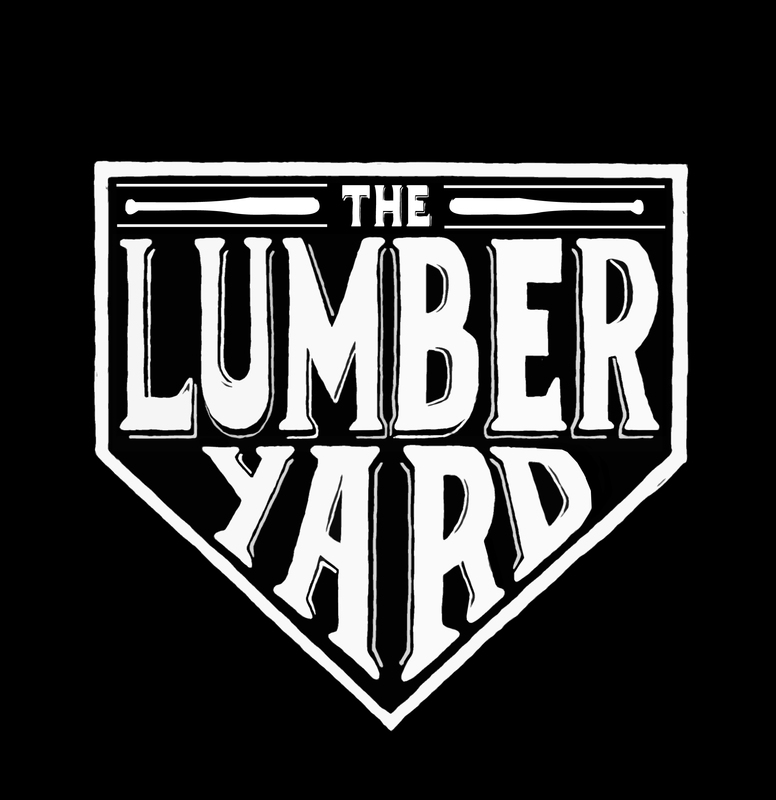 Copyright © 2001 - 2019 Alcoa Little League. All Rights Reserved.